First devised in 1986 by three senior army commanders, it stipulated measures to be taken when an Israeli soldier was captured during combat. Its purpose was to prevent the enemy from escaping with that soldier, even if it meant endangering the soldier’s life and the lives of civilians in the vicinity. The order was last executed during the 2014 Gaza War – known in Israel as Operation Protective Edge. During that conflict, more than 2,000 Palestinians and 72 Israelis were killed. The unprecedented ferocity of the action that followed cost the lives of at least 135 civilians – 75 of them children. Amnesty International and other NGOs have described the events of that day, “Black Friday”, as a war crime. 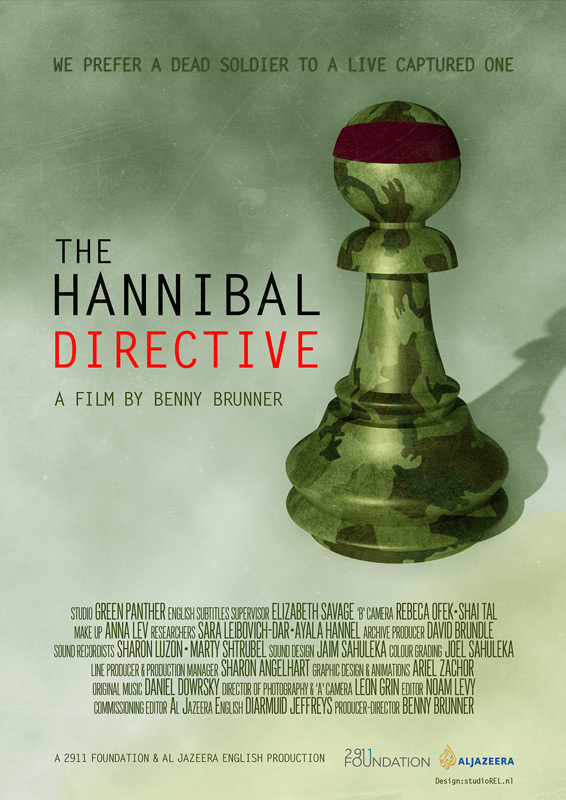 This film, by award-winning director Benny Brunner, explores the secret history of the Hannibal Directive – tracing its origins, its most recent use and how it has been applied. The documentary was made in 2015 amid mounting controversy about the application and morality of the doctrine – a dispute which eventually led to the order being quietly rescinded by the Israeli military in June 2016. It contains interviews with former Israeli soldiers, reservists and civilians who were at the time increasingly divided over whether such a brutal policy, which led to the deaths of so many innocent civilians, could ever be justified.